﻿ Congress Plaza Hotel, Chicago (IL) | FROM $80 - SAVE ON AGODA! "I like to tall ceiling, clean and big room." 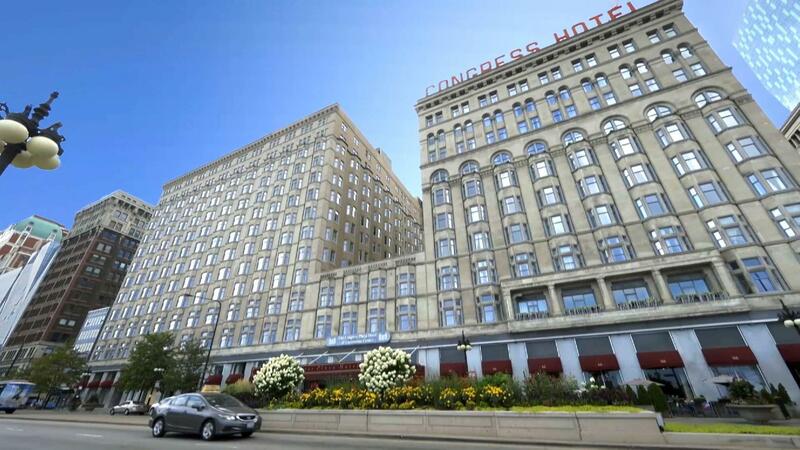 Have a question for Congress Plaza Hotel? "Beautiful hotel in great location." "Museums, aquarium, Navy Pier, etc all outside the door and for a really good price." Each of the 871 rooms at this 3-star hotel have all the comforts and conveniences of home. Air conditioning, in-house movies, a desk, hair dryer, Internet access, an ironing board, and an in-room safe are among the amenities guests will find in every room. Featuring shops, an elevator, a bar/pub, laundry service/dry cleaning, meeting facilities, and a restaurant, this Chicago hotel is sure to make each guest's trip an enjoyable one. After a day of work or exploring, the gym is one of the ways to unwind. The hotel blends expert service with state-of-the-art facilities to provide guests with a memorable stay. To continue with your reservation at Congress Plaza Hotel, please enter your arrival date and the number of nights you wish to stay. "It is great location and nice lobby." Garage parking and valet parking are available at an additional charge. Kindly contact the property directly for more details. This hotel is old and grand, and in the perfect location for walking to sights, stores, theaters and restaurants. The room was a little rundown, but we were fine with that. It was Not the size advertised on Agoda, and that would be our only criticism. We would definitely stay there again. We stayed in the south tower on the 11th floor in a Lake View King Room and had a view of the Buckingham Fountain directly in front of us, the Chicago skyline and Navy Pier to our left, and the Planetarium, Aquarium and Soldier Field to the right. There is a heater in the room but the windows also open a few inches for fresh air when the weather allows. The weather allowed us to open the windows and enjoy fresh air in our room over a few days, the rest of the days we used the heater since it was fall. The concierge staff were always helpful getting our car and giving directions and advice. The front desk staff were always helpful whenever we had a question. The housekeepers kept our room looking fresh and ready to return to and they let us know how to get in touch with them in case we needed anything. When we did ask for more towels and more coffee, they gave it to us happily. 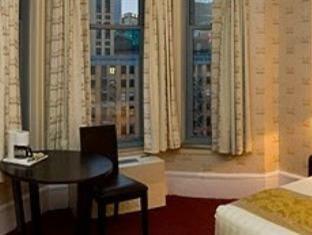 This is a GREAT and historic hotel in the perfect location in the heart of downtown Chicago. Enjoy Chitown!! The Congress Plaza was just what we needed for our business trip to Chicago. Large room and bed, close to attractions and restaurants, easy to get where we wanted to go. The hotel itself is full of history, having been built in 1893, so not as modernized in some ways, but generally quite acceptable. We will stay there again if we go back. Contra Bad smell inside the room. Smells old and dampness. Bathroom very old fashion. Elevaror very old. Overall hotel is very dated. Needs to be renovated. Check in staff was arrogant and mot helpful. A few amenities are broken inside the room. Room was noisy. Pro location of the hotel is superb. Near to blue line to go to Airport. Walking distance to shops and restaurants. Close to a lot of sight seeings places. Hotel is very dated and old. The room in the north side is older than the south side. The room smells dampness . The bathroom is so old fashion. The room's lighting is not bright. Room always looks so dark. There is no fridge in the room. The good part of the hotel is the location. It's near to Millennium Park and walking distance to the blue line to go to O Hare airport . It's along Michigan Road where we can walk to the city. Met my needs for a night stay during a baseball game. Easy access to the park and lakefront. Building is very old which is part charming and cool but also results in some noted aging aspects that just can't be avoided. Rooms are rather small and have a slight musty smell. Bathrooms have been updated with modern fixtures but evident it is a surface job mainly for aesthetics. Rooms felt overall clean but with a "lived in" quality that comes with the age of the carpet, walls, etc. Hallways are dimly lit and a real-life maze to navigate. Straight out of The Shining for sure. If you are a single dude traveling for a fun weekend then this is worth the savings. Outside of that, look elsewhere higher quality on the dollar in my opinion. Beautiful hotel with a nice mix of old and new. Room was very nice with a comfortable bed and several pillow choices. Our stay was quiet and relaxing. Staff was friendly and helpful. I did not care for the shampoo/ conditioner combo. Did not condition and scent was too masculine. The tv was rather small. Overall it was a wonderful stay and we loved that we were so close to most of the things we wanted to see and do. Would definitely stay again. We loved this room. It had an amazing view of the Lake. The bed was so comfortable. Walkability was super. Interior décor of room and the lobby were immaculate. Staff was very nice, especially valet. Parking attendant at the garage associated with and recommended by the Congress Plaza Hotel damaged my vehicle. Staff was less than helpful. Waiting to see if anyone actually takes responsibility for damages. My rear license plate, plate bracket, and backup camera were so bent up I had to try bending it back to avoid getting a ticket for a non-visible plate. The fact that they destroyed my backup camera by backing into something is painfully ironic. The food at the restaurants were just terrible and disappointing. nice locatiin, cool building, i can deal with a smaller room, but the luke warm showers are not enjoyable to say the least!! prices for hotels in chicago are insane!! 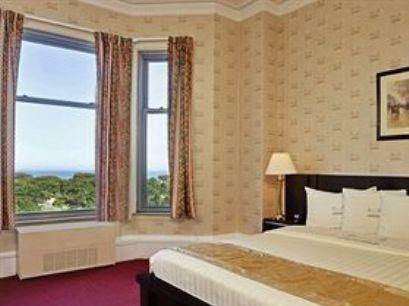 The hotel is located in the centre of Chicago with easy access to sightseeing spots. The service and facilities are okay. However, the view of Michigan Lake from the room is a pleasant surprise. Not sure if it applies to all room though. Tall ceilings and spacious rooms. Older style classic hotel. Staff was very friendly and accommodating. Great location and view. I would recommend this hotel. You can order from the menu at breakfast. The food was very good and the staff was exceptionally friendly and attentive..
the hotel needs heaps of renovation. our door looked like they found it on the street, the bathroom was disgusting, the window latch was broken & the wind made a loud whistling noise all night long, it was freezing & the heater didn't work. terrible nights sleep. could not wait to write this review.